To receive regular updates from the National Trust for Historic Preservation’s government relations team, sign up for our new monthly newsletter. Certainly, the most consequential change resulting from Tuesday’s election is the change in leadership of the House of Representatives from the Republican to the Democratic party. The Senate Republican majority has become larger, solidifying the ability of majority leader Mitch McConnell, R-Ky., and the president to push forward their agenda. However, the House Democrats will have significant power and are expected to push their own agenda, exercise oversight of the administration, and resist certain Republican agenda items. There may be opportunities for bipartisan collaboration on infrastructure and other programs. House leadership elections will be conducted later this month, with the exception of the position of Speaker of the House, which is elected on the first day of a new Congress. Conventional wisdom is that Rep. Nancy Pelosi will be elected Speaker. Rep. Kevin McCarthy is the leading candidate to become minority leader. 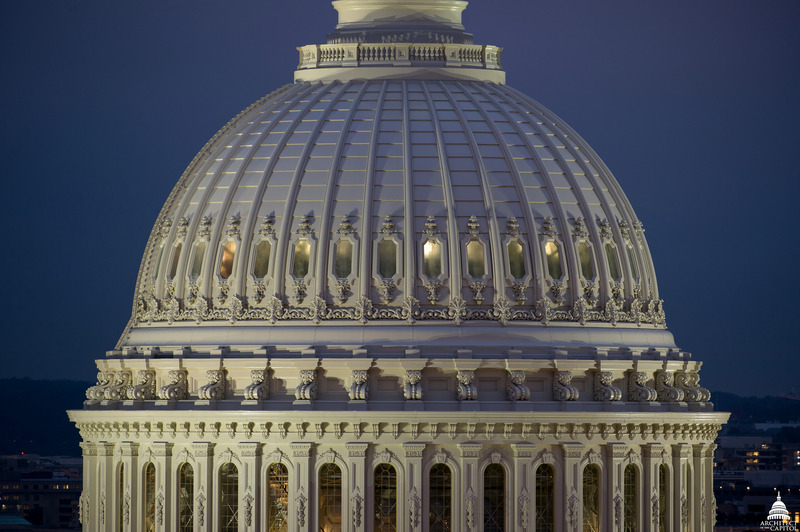 The principal legislative action that must be completed this year is addressing the remaining FY19 appropriations bills before the continuing resolution expires December 7. There is a reasonable chance that the remaining appropriations bills, including the Interior appropriations bill—which funds the Historic Preservation Fund, National Park Service (NPS), Bureau of Land Management, and other Department of the Interior agencies (along with the U.S. Forest Service, Environmental Protection Agency, National Education Association, and National Endowment for the Humanities)—could be included in a “minibus” appropriations bill. The usual barrier to a final appropriations bill is disputes over policy riders. If those disputes cannot be resolved, a continuing resolution that maintains funding at current levels is the alternative. Preservation programs are well-positioned for strong funding levels in either scenario. The National Trust for Historic Preservation working hard to ensure that the Restore Our Parks Act, which would provide up to $6.5 billion over five years for the NPS’ deferred maintenance backlog, is enacted this year. Read more about this bill. Permanent reauthorization and full funding for the Land and Water Conservation Fund (LWCF), which lapsed on September 30, also remains a top priority for the National Trust. Join us in telling Congress to save LWCF. We are also working on other legislative priorities, including establishing the Route 66 National Historic Trail, expansion of both the Ocmulgee National Monument and Reconstruction Era National Monument, and reauthorization of the preservation program for historically black colleges and universities. There remains a possibility that Congress will consider a package of public lands bills during the lame duck, and our government relations team has been working closely with individual House and Senate offices, as well as committees, to ensure that these public lands–related priority bills are included in any potential package. We are also working on enhancements to the historic tax credit (HTC). Rep. Darin LaHood, R-Ill.; Rep. Earl Blumenauer, D-Ore.; Sen. Bill Cassidy, R-La. ; and Sen. Ben Cardin, D-Md. introduced the Historic Tax Credit Enhancement Act (HTCEA) (H.R. 6081 and S. 3058) last June. This bill would eliminate the basis adjustment requirement for HTC transactions. Bill sponsors anticipate an opportunity to attach the HTCEA language to a larger legislative package that could possibly move through Congress this year. Support for the legislation needs to come from both sides of the aisle to improve its chances of enactment. Find out more about these bills. While efforts are underway to enhance the federal HTC, we just released on Tuesday a report for state and local policymakers and advocates about the key factors and many benefit of structuring an effective state HTC. And yesterday our team hosted a webinar discussing the consequences of the election. As we learn more about the schedule and agenda for the lame duck session, we will share opportunities for organizations and individuals to join our advocacy efforts for many of these policy issues. Tom Cassidy is the vice president for government relations and policy at the National Trust for Historic Preservation.